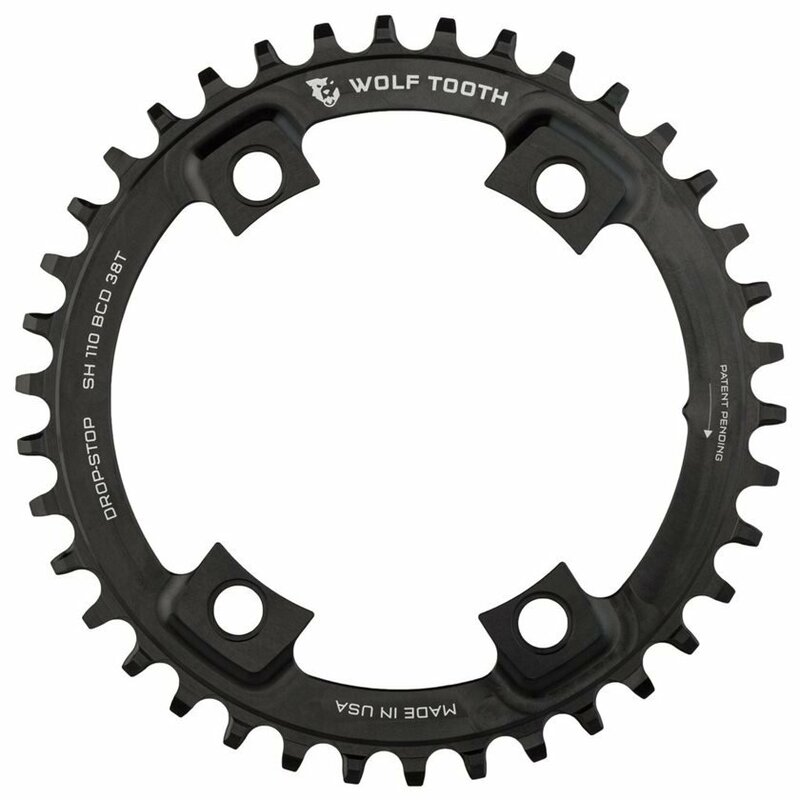 The Wolf Tooth 110BCD Asymmetric 4Bolt Ring was designed with a 1x offset made specifically for Cyclocross set ups. It's compatible with your Dura Ace 9000, Ultegra 6800, 105 5800, or Tiagra 4700. Please keep in mind that if you do happen to race in muddy conditions you'll need a type of chain guide or chain keeper along with a clutch type rear derailleur to prevent your chain from popping off and add maximum security. I ride wolftooth chain rings on my mountain bikes. Their tooth design is superior to other "narrow-wide" chain rings. The chain is locked on the the ring and cannot bounce off. Yet Wolftooth has figured out how to make the ring shed mud and dirt so it works well in all conditions. I bought this chain ring to give a 1X setup a try on my road bike and definitely don't regret it! This chain ring is very well made, has a reasonable price and has yet to drop a chain. 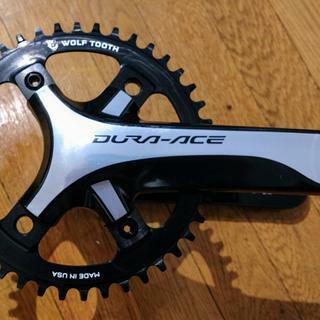 Will this fit onto a Sram Apex 1 GXP Crankset? BEST ANSWER: I just spoke with Wolf Tooth , and they said it is NOT COMPATIBLE. They did take note and will likely be adding compatible rings down the line. Keep Pedaling! No. It’s not GXP compatible. The GXP version will work though! DO YOU HAVE A 96 BCD COMPATIBLE TO XT M8000 38T OR 40T? We don't currently stock any chainrings that are 38 or 40T for 96BCd XT cranks. the closest we have is a 36T. Keep Pedaling!